The more organized you are, the quicker Drop Off will be! Best you can, organize your items by GENDER and SIZE before you start. Review the sidebar to see what is and is not acceptable. Wash, iron, repair buttons, gather loose pieces of toys and do whatever is necessary to ensure that your items are in excellent condition. Items will be returned that do not meet our guidelines. Hanger should look like a question mark when you are looking at the front of the garment. Gather your clothing in a neat pile beside you at the computer. Enter your descriptions and prices on the Web. Enter a description and price for each of your items. Do this carefully and accurately. You will be able to save your work and come back to it later if you'd like. Choose if you would like to DONATE items that do not sell. You will be able to choose NONE, ALL or select certain items to donate after the sale if they do not sell. PRINT your inventory sheet. You can print it after you finish the Donate Screen, or go back to the Check Sales button and pull up your batch. You must bring your printed inventory sheet with you to check in. 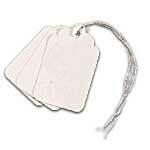 Once you have priced your garments and have a listing on the website, safety pin a string tag to each garment. To help you keep you items in order, you may write the assigned number onto each corresponding tag. When you come to the store with your items, we will have your price labels printed out and you can attach them to your tags quickly and accurately before you leave. Make sure and bring them in numerical order. Please allow 30 minutes to an hour for Drop Off. Pick Up Day is Monday, March 11th from 10:00 AM to 1:00 PM. This is very important since we can't store your items. You will receive a detailed inventory sheet, your unsold items and a check for items sold. A participation fee of $9.00 will automatically be deducted from your account. ALL ITEMS LEFT AFTER PICK UP WILL BE DONATED TO CHARITY, SINCE WE HAVE TO BE OUT OF THE FACILITY. The process is simple once you become familiar with it! Also remember, consignors may shop early. The Consignor's Pre-sale is Saturday, March 2nd from 1:00 PM to 9:00 PM. The Consignor's HALF PRICE sale will be Thursday, March 7th from 6:00 PM to 10:00 PM . *** One of the reasons our sale has become such a success is you - our consignors and our workers. If you are interested in working one or more shifts during the sale, you will be invited to our Worker's Pre-Sale Event on Saturday, March 2nd from 11:00 AM to 9:00 PM. See our Worker's Needed page for more info and to sign up to work. Boy's sizes 0-20, girl's sizes 0-16 and junior sizes 1-11 in teen styles. All must be no more than 1-2 years old, clean and odor-free. Infant clothing - priced competitively - its abundant! Nursing tops, bra and other related items. Recalled Items. Click here to search for reports and recalls. Out-of-date clothing - It will not sell! Any item that is stained, torn or extremely worn. Items with missing buttons, broken zippers or lost parts. Battery operated toys without batteries. Baby equipment that is not clean or has been recalled.